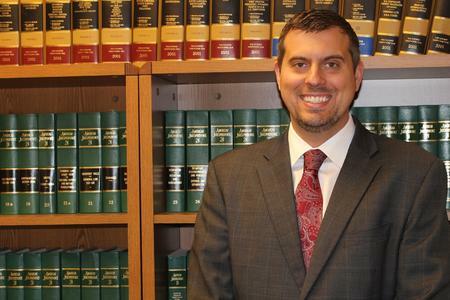 In Northern Michigan, one team of legal professionals stands above the rest as Northern Michigan’s driver’s license restoration attorney leaders. Jason Razavi and his team go above and beyond to give clients the personal service that they need in order to succeed. It’s the extra effort and personal service of Jason and his team that make them the Northern Michigan driver’s license restoration lawyers that make a difference. Helping someone get their driver’s license back is an important task. It’s important to understand the client and work with the client to help them fully understand what the steps are in getting their license back. To Jason and his team, it’s personal. We treat your success as our success. Before we submit documentation to the Secretary of State, we check it many times. We make sure that it’s going to have the right impact on your case. We thoroughly prepare for your hearing date. We work to prepare your case, and we also work with you so that you know what to expect as you go into your hearing. Because we’ve helped so many clients as their driver’s license restoration attorneys in Northern Michigan, we know what the Secretary of State hearing officers need to see and hear in order to help a case succeed. Then, we set out to help you understand what you need to do in order to present a strong case. We’re on your side and by your side each step of the way. When your hearing date arrives, we’re there showing the hearing officer the evidence on your behalf. We can make a statement to the hearing officer and help you put your best foot forward. If you’re ready to have a valid driver’s license again, call us. We’re here to work with you. Let Northern Michigan’s driver’s license restoration attorney leaders take it from here. Call (231) 486-6366 for a free screening and confidential consultation.